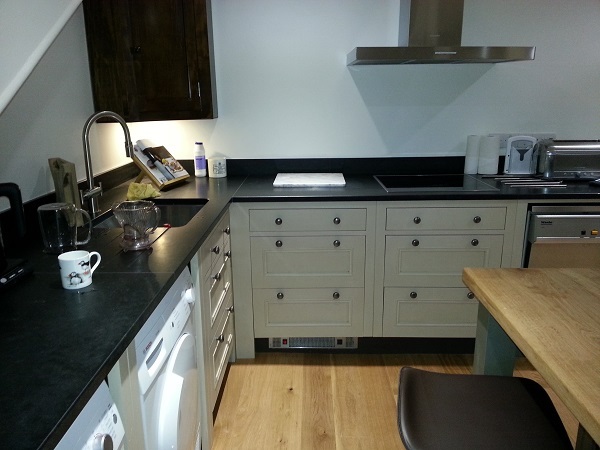 Looking for a quality kitchen decorator based in Taunton ? If the answer is yes, then you are in the right place. 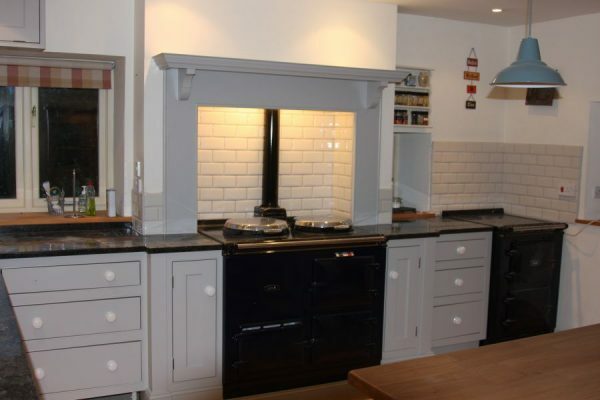 I have been hand painting and tiling kitchens for more years than i care to remember ! Furthermore, I have carried out hundreds of kitchen projects over the years. James Perry Decorating & Tiling offer quality painting and decorating services in Taunton and surrounding areas. We cover Taunton, Bridgwater, Wellington, Chard, Ilminster, Exeter, Yeovil and most of Somerset. We will however travel further afield. Please call us to find out more. We will send our kitchen decorator. 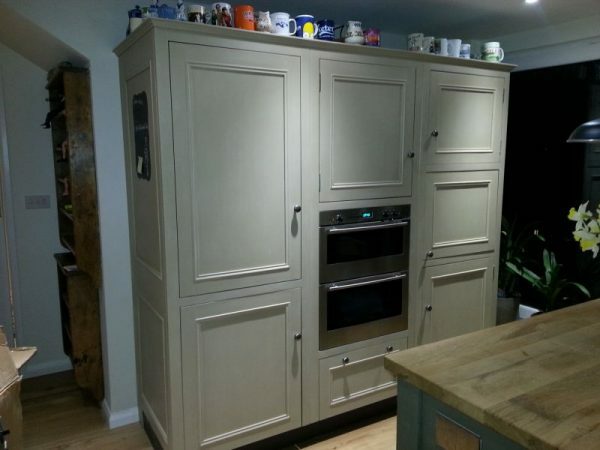 This post showcases some of the painted kitchens recently carried out. 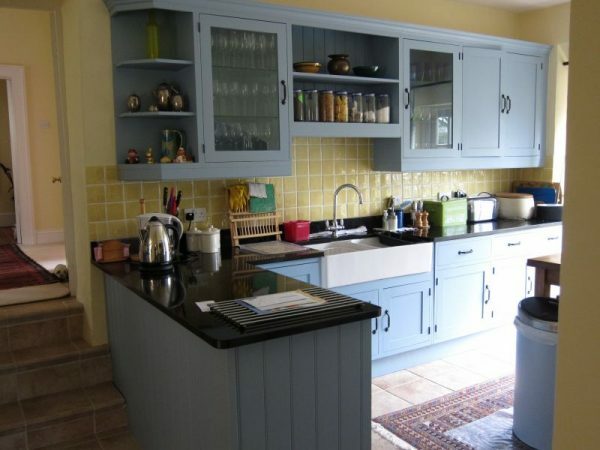 A good kitchen decorator will transform your tired and dated kitchen and save you money in the process. Transform your kitchen with a kitchen makeover ! 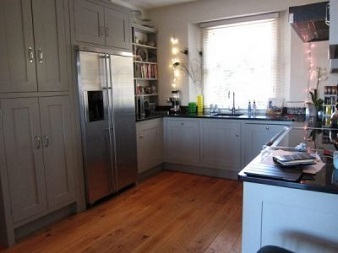 A new kitchen with hardwood doors and worktops can easily cost £10-£30,000 nowadays. 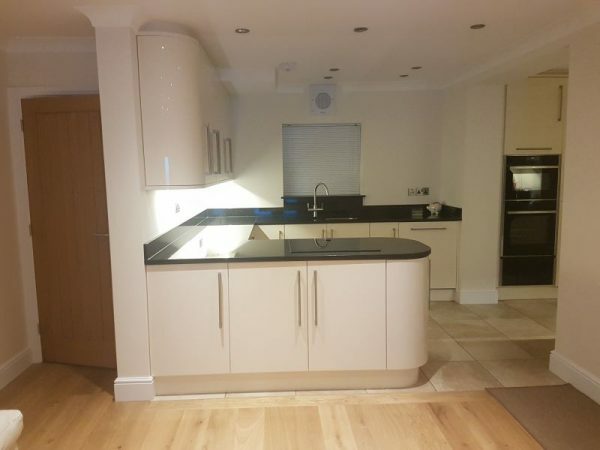 If your existing kitchen still has serviceable doors and units, why not consider a kitchen makeover ? You can start again from the ground up, so to speak. 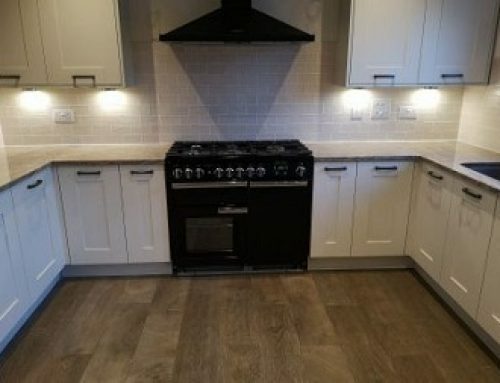 You could have replacement worktops. The doors/drawers could be prepared and hand painted to a colour of your choice. 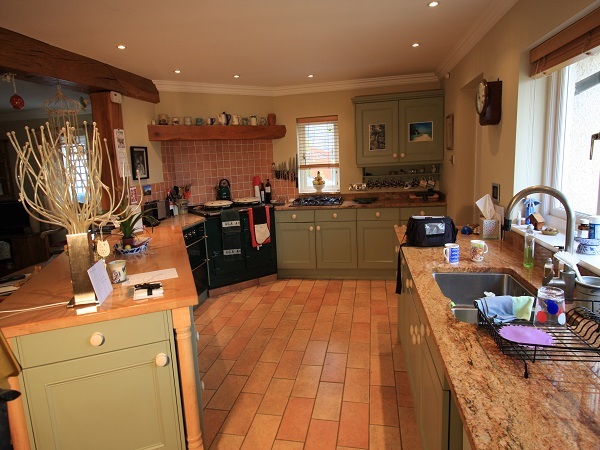 A professional kitchen decorator will know exactly what does or doesn’t work regarding style and colour. Check google images for ideas and inspiration. 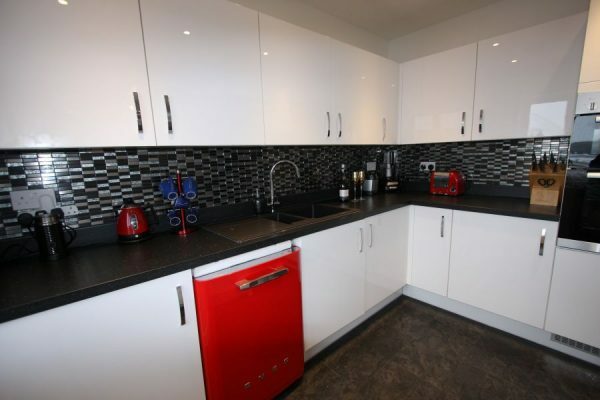 The splashback could be tiled with an almost endless choice of tiles. 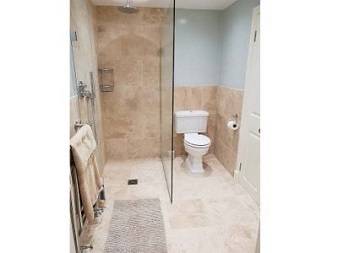 I love to tile kitchens and have some great ideas and advice. Mosaic tiling is very popular at the moment and i am a highly experienced mosaic tiler and kitchen decorator. I really enjoy tiling with mosaic tiles. 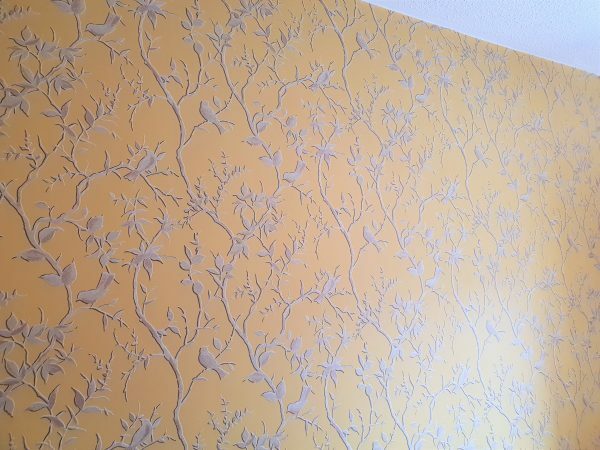 They can be such a centrepiece of any room, despite higher fitting costs. In my opinion, a worthwhile investment. Why not have your floor tiled ? 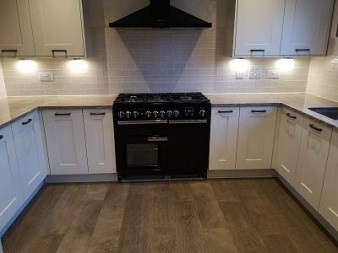 Floor tiles are hard wearing and well suited for high traffic areas such as kitchens. You could choose a tile that compliments the new colours in your kitchen. I can lay all types of floor tile in any type of pattern. Let me know your thoughts and we can discuss them together. Furthermore, no matter how complex the pattern or design, I am confident to offer you what you want. 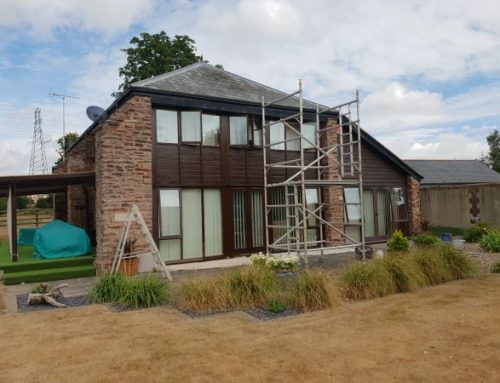 There are many options and budgets available in addition to colours and styles. 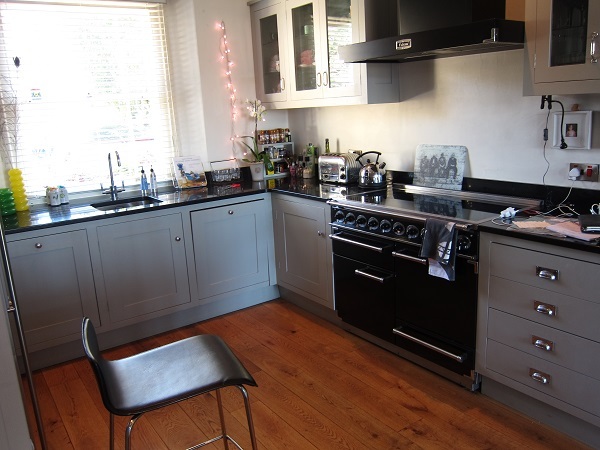 Let’s have a chat and we can discuss your kitchen makeover options. 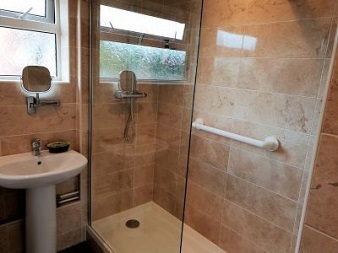 For a kitchen tiler or kitchen decorator please call us.